Want to do something extra special for your loved one this sweetheart season? Whisk him or her away on a romantic trip to the Texas Hill Country. It’s as simple as buying a $25 ticket to the Wine Lover’s Trail, a self-guided tour of 21 central Texas vineyards. Unfortunately, seeing all 21 vineyards can take several days, so we picked the best of the best and constructed this mini-tour for you. Enjoy! Or should we say salud? Start your day off right at this Driftwood vineyard, which specializes in recreating the wines of southern Italy. One taste of the wine – not to mention the complementary Italian appetizers – and you’ll feel like you’ve discovered a little slice of Tuscany just 25 miles from downtown Austin. Next, check out a winery renown for its wine and its view. Located on a high bluff overlooking Lake Travis, Stone House can legitimately claim to have one of the best views of any central Texas winery. And the wine isn’t bad either. We particularly recommend the award-winning Claros. 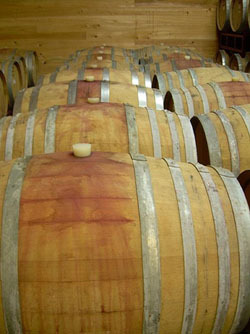 Head over to the tiny town of Bend, Texas, home of the Alamosa, where you’ll enjoy quality Mediterranean-style wines. Try the house specialty, a tasty Texas port, which comes paired with a savory Stilton cheese. Deeelish! 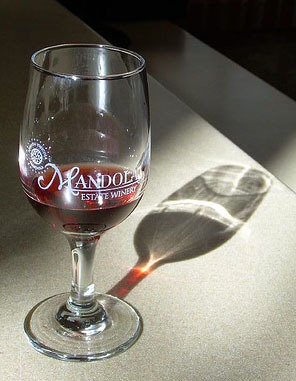 Finally, conclude your wine tour at the Woodrose, a tiny treasure tucked away in Stonewall, Texas. There you can sit on the winery’s 3,000 square foot deck and watch the sunset. Or snuggle with your sweetie by a fire and make s’mores. Or dip strawberries and cherries into a chocolate fountain. And the best part? You can do it all while drinking – what else? – wine, wine, and more wine. Your perfect weekend still needs a perfect end, and for that you must turn to Rose Hill Manor, a luxury bed and breakfast just a hop, skip, and a drunken stumble away from the Woodrose. Stay in the picturesque inn, a replica of a grand Charleston plantation-style home, or one of the nearby private cottages. Either way, be sure to hit up the on-site wine bar (one more glass can’t hurt ya) and the in-room massage service. If that doesn’t equal romance, we don’t know what does.